I don’t think North Dakota Governor Doug Burgum has a disingenuous bone in his body. But sometimes political naivete can make someone appear disingenuous (actually, my definition of disingenuous is “fake naivete”). There’s still a bit of naivete in Burgum. The transition from the business world to government is not an easy one. He’s still learning, although he’s a pretty fast learner. And when count on your ability to learn fast, in the public eye, for all the world to see, you can make mistakes. So I’m writing off his charge to the Little Missouri Scenic River Commission to approve an industrial water policy for the Little Missouri State Scenic River as naivete, a mistake, and not disingenuousness. Let me explain what I am talking about. As I wrote here a couple weeks ago, last May the North Dakota Legislature approved, and Gov. Burgum signed, legislation authorizing the use of water from the Little Missouri State Scenic River for fracking oil wells. Ever since 1975, until that day in May 2017, it had been illegal to use Little Missouri River water for industrial purposes, like fracking. That policy was part of the “Little Missouri Scenic River Act” passed by the 1975 North Dakota Legislature, and signed into law by Gov. Art Link. But the State Engineer over at the Water Commission office had been illegally issuing industrial water permits from the Little Missouri for about 15 years, more than 600 of them, and the Water Commission, chaired by the Governor (Governors Hoeven and Dalrymple), had been approving them. So the change in the law served the purpose of making those permits legal. 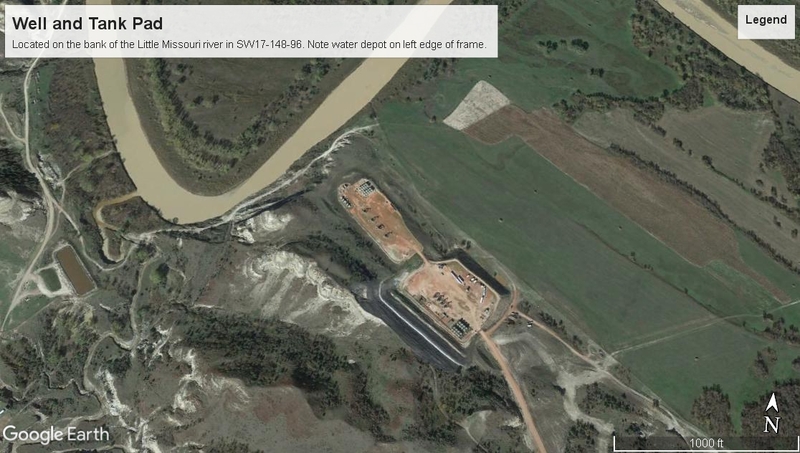 Here’s a water depot in Dunn County right up against the bank of the Little Missouri River. Next time the river floods, as it does regularly, this will likely be under water. This exists because the State Water Commission’s engineers illegally issued a water permit to a rancher to let it happen. Conservationists, having observed how little regard for the law and for the environment existed in the Capitol, opposed the change to the more-than-40-year-old law, and let Burgum know about it, asking him to veto the bill. Ignoring those pleas, he signed the bill, but then took a series of executive actions. 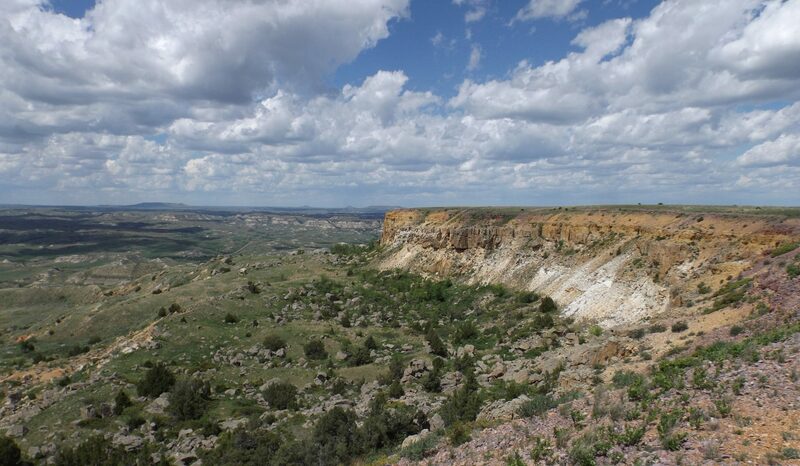 While the new law allowed free and open access to the entire Little Missouri River for industrialization, Burgum initially limited that to just the part of the river downstream from the Long-X Bridge, which is located on the east end of the North Unit of Theodore Roosevelt National Park. Essentially, he allowed industrial water use in the last 40 miles of the river before it flows into Lake Sakakawea. That stretch of the river is mostly in Dunn County, where most of the heavy oil activity near the river takes place. So he really didn’t slow down development by limiting industrial water use on the rest of the river. In doing that, he protected all three units of the national park from industrial development. For the time being, that is. Because he said this was going to be an “interim policy” and he told his State Engineer over at the State Water Commission office to present some options for a more permanent policy. A month later, the engineers at the Water Commission office did just that, and at a State Water Commission meeting in June, Burgum joined his fellow Water Commission members in voting to open up the entire Little Missouri State Scenic River basin to industrial water use, backtracking from his earlier policy of protecting the national parks. He and the Water Commission did that with no public hearings and no public input. They just listened as the Water Commission engineers presented four different possible levels of development and recommended the most destructive one, and the Water Commission adopted it. No one except the engineers and the commission members got to address the issue. I guess that’s the way Burgum did things in the business world. But it shouldn’t happen in state government. Public comment should be required when major decisions like this are made by appointed boards, chaired by the Governor. I remember the days in the 1970s when Art Link and Myron Just were the two elected members of the Water Commission (I was actually working for Myron back then), and they’d never have done anything like that. God, I long for those days again. So in June, just six weeks after the Legislature passed a bill allowing industrialization of the Little Missouri State Scenic River valley (another law change which had no public hearing because it was an amendment slapped onto the end of the Water Commission budget bill with just days to go in the session), and Burgum signed it into law, Burgum had a new “interim policy” on industrial use of the Little Missouri State Scenic River—anything goes. But that’s when he did something I view as disingenuous. He said he wanted this “interim policy” to be in effect until it was presented to his newly reactivated Little Missouri Scenic River Commission for their approval. Once they approved it, which he expected they would, this would become permanent policy. If you’ve been reading this blog for a while, you know that the Little Missouri Scenic River Commission was also created in 1975 by the Scenic River Act, but that it had essentially been discharged of its duties by Governors John Hoeven and Jack Dalrymple. In other words, it quit meeting. The way he asked them was to send an engineer out to their meeting in Dickinsn in October and ask them to approve the interim policy of the Water Commission, so it could become a permanent policy. You read that right. 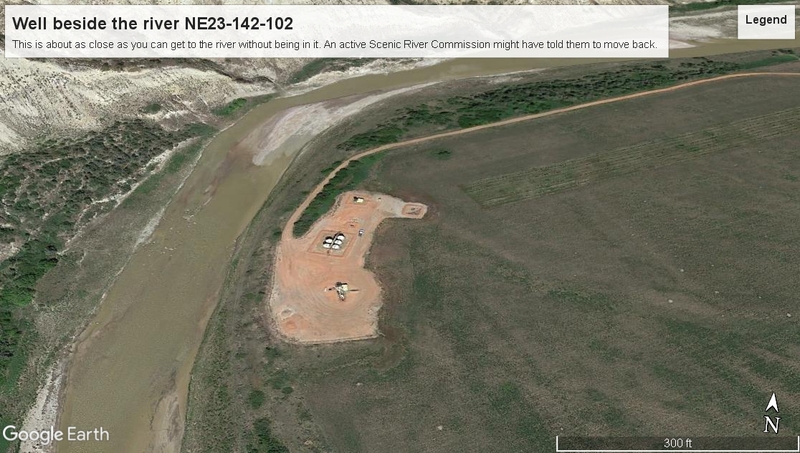 He asked the Little Missouri Scenic River Commission to give its blessing to a permanent policy that would allow industrial use of Little Missouri River water over the entire length of the river in North Dakota. The appearance that gave was that Burgum had assuaged the conservation community by re-activating the Scenic River Commission, and then the very first thing he asked them to do was approve an industrial water policy. It just makes no sense. That’s not the Doug Burgum I know. Or used to know. I wrote in an earlier blog that the policy is likely to be revisited at the Commission’s next meeting, either with a presentation by the same engineers who pitched it at the last meeting, or maybe that the Governor himself should come and pitch it. Well, I’ve changed my mind about that. I think that is a bad spot to put the Commission in. There were a lot of people in the audience at the last Scenic River Commission meeting who finally got a chance to speak against the policy. Commission members appeared to listen. I think both the Governor and the engineers should stay home from the next meeting and let the Commission get on with selecting an agenda for itself that indeed involves maintaining the “scenic, historic and recreational qualities” of the river. To do anything else would be disingenuous of the Governor. I hope he gets that by now. If he wants to adopt a permanent policy to industrialize the Little Missouri, let him do that. Don’t try to pass that off to a volunteer group charged with just the opposite. That’s the definition of disingenuous. Not naivete. 61-29-05. Powers and duties of commission. The commission may advise local or other units of government to afford the protection adequate to maintain the scenic, historic, and recreational qualities of the Little Missouri River and its tributary streams. The commission shall also have the power and duties of promulgating management policies to coordinate all activities within the confines of the Little Missouri River when such action is deemed necessary. Here’ a Billings County oil well pad right against the bank of the Little Missouri State Scenic River, just south of the Elkhorn Ranch, and it’s there because the North Dakota Industrial Commission issued a drilling permit for it. Here’s another example of a giant oil well development along the bank of the Little Missouri State Scenic River (not very scenic, is it?). I’ve seen the river rise as much as ten feet out of its banks in spring floods. I’m not sure what will happen here if (I mean when) another flood like that occurs. Footnote: The Little Missouri State Scenic River Act was the brainchild of an early North Dakota State Parks Director, Gary Leppart. He wrote the legislation and recruited a couple of local Republican legislators—Earl Rundle from New England and Karnes Johnson from Sentinel Butte, to sponsor it. Those two were enormously popular back home, and their legislative districts encompassed most of the Little Missouri River valley. They helped bring local support for the bill, which might have been seen as an intrusion by state government into local affairs had Leppart not had local Republicans as sponsors. Rundle, who stood about 5 foot 4 with an enormous girth and an ever-present cigar, actually got in a canoe and went for a trip down river to show his support. My friend Mike Jacobs, who was a reporter at the Dickinson Press at the time, went along. He tells a pretty good story about the trip. The law provided for six Bad Lands ranchers and three state officials—the State Parks Director, the State Engineer and the State Health Officer—to serve on the Commission. The Commission was staffed by the State Parks Department. The Parks Director served as the official secretary of the Commission, and the Parks director’s staff handled the details of setting up meetings and distributing minutes. For many years, the Parks Director managed the affairs of the Commission, alerting members of issues they needed to deal with, and scheduling meetings to deal with them. Burgum changed that when he re-activated the Commission, handing the administrative duties over to the State Engineer’s office. That was a bad idea. The State Engineer implements state water policy. Engineers need to engineer things. Generally, they aren’t concerned with “scenic, historic and recreational qualities.” That’s just their nature. 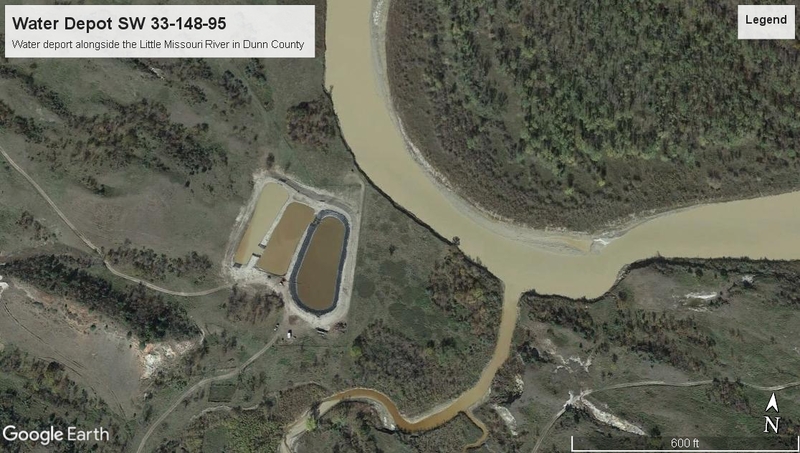 I blame Prchal and Zimmerman for the massive development on the banks of the Little Missouri State Scenic River today as much as I do the State Engineers who issued those water permits and the Oil and Gas Division Directors who issued drilling permits and oil tank battery permits beside the river. Although I truly believe the real blame lies with Hoeven and Dalrymple, who were rolling over for the oil industry. The bureaucrats were likely just following orders, and to not follow them would have meant their jobs, I suspect. But I think Burgum didn’t know a lot of that history, and didn’t think through who should be managing the Scenic River Commission, when he re-activated it, and so he put the State Engineer in charge. It’s time to move that back to the Parks Department. The people there care about things like scenery, and history, and recreation. And they care about the river, and the river valley, and the Bad Lands, and the environment. Good for them. Let’s put them in charge of the whole state! Next postAnybody Want to Have a Fundraiser? Here’s a List. One thing that needs to be stopped is the issuing of drill permits so close to the river. The Industrial Commission just blindly approves all the permit applications that the Oil and Gas Director, Mr. Helms, sets before them. Since the location of each of the dozens of permit requests every month is only listed as range, township and section almost nobody knows exactly where these proposed drill sites are without a lot of specialized map work. The oil companies like it that way. My thanks to Jan Swenson for doing whatever she can but she is bucking both the oil industry and the state government almost singlehanded. There needs to be something done so that wells near the river and other sensitive sites can be flagged and permits delayed until at least the public can learn what is going on and before the drilling is already in progress. I am also very suspect of the commissioner/ranchers on the commission who are making money by themselves pumping water from the river and selling it for fracking. Shouldn’t they recuse themselves from decisions that could financially affect them? This is the very definition of conflict of interest. Jim, You are being very kind to Gov. Doug Burgum regarding his stance on the Little Missouri River. Even though he grew up on a farm in the Red River Valley where water is more plentiful than in semiarid western North Dakota, Burgum should know that water above the ground is a most precious commodity. We must be stewards of the land. The oil companies are just visitors here. I grew up in the Mountain time zone hearing my grandmother say, “You have to eat a peck of dirt a day” because of her Dust Bowl experiences. It can happen again. And even worse can happen. Thank God that the river commission didn’t approve the change.